At some point late in the year, I’m reminded of the One Little Word project, and I struggle to remember my choice. I start off with so much optimism about how this word will shape my year, but then life gets in the way. My enthusiasm fizzles out and eventually, I forget. In October of 2016 I had to go look at the plastic word I had custom-made to remember. My word was trust and I fondly reflected on doing the inner work to live that in the first quarter of 2016. Has this ever happened to you? Maybe you didn’t completely forget, but I know how life is. It’s not consistent throughout the year and our priorities shift. What you need most in January is likely not what you need most in October, but I have an idea. I have an idea that just might prevent disconnection from my chosen word, an idea that will better align with my needs over the course of a year. I’m going to opt-out of choosing one word. 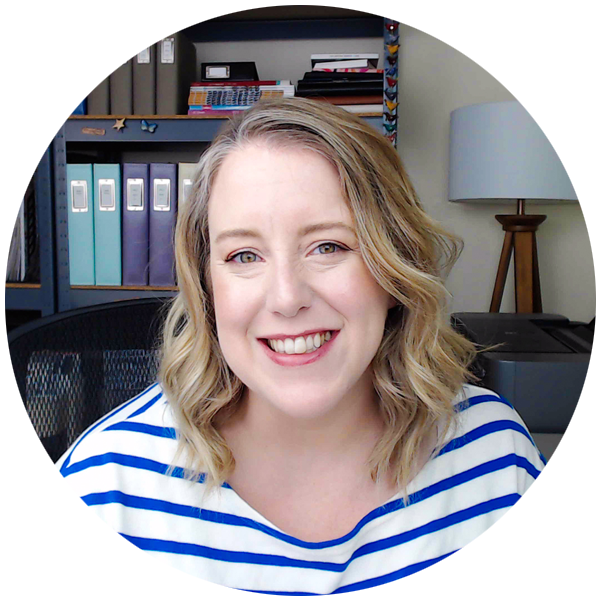 I’ve refreshed my scrapbooking hobby every season for several years, and now I’m applying this mindset to the rest of my self-care. We naturally do this in many domains, but the community call has always been to choose one guidepost for personal growth. Instead, each season I will select a new word to guide my inner work. 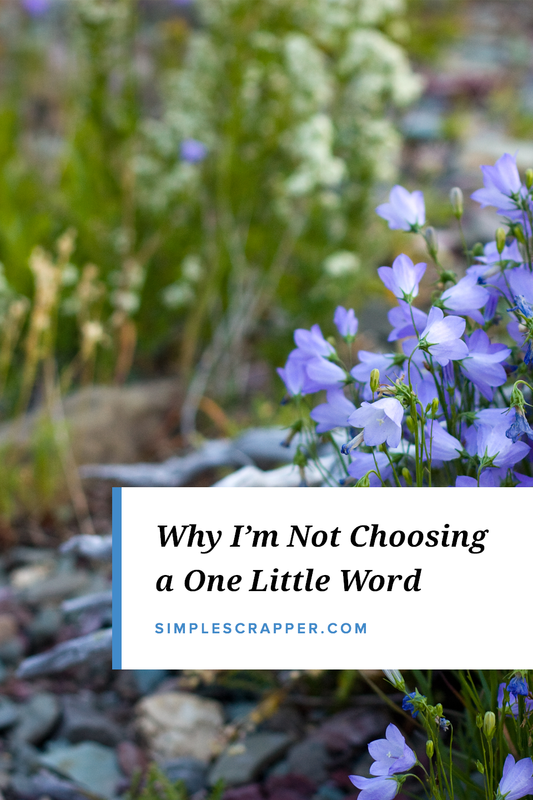 I’ll give myself permission to choose the same word if I’m not yet “done” with it, but also claim equal permission to start fresh and tackle a new challenge. By pausing each season to choose a new word that best reflects what’s exciting and meaningful to me, I’ll be more likely to follow through on exploring it creatively and take actions to make that word visible in my life. Perhaps most importantly, I’ll also release the guilt I feel over not seeing it through to the end. In fact, I’ve already started experimenting with this concept, and my word for fall 2016 chose me: nourish. As we turned to the cooler months, I craved substance and meaning. The fall season, for me, was about making choices that support the lifestyle I want to live and are flexible enough to shift as I do. Now that we’ve entered the new year, my word for winter 2017 is practice. Stronger habits for health and happiness require baby steps and repetition until new skills become automatic. Whether you’ve selected a word for 2017 or not, I want to offer this simple permission to embrace shifting priorities and allow yourself to evolve with the seasons. I really enjoy the seasonal reflections, so it makes complete sense to evaluate ‘your word’ at that time as well! Good thinking! That’s a cool idea, Jennifer!! Love this idea….goes right along with 4 Refresh Sessions. Also, so true the 1st word may not be vital all year, but if it is there may be a need for another word. I”M definitely in. Starting 2017 with the word “Intentional” with scrapbooking and everything else in my life. I love the idea of picking a different word for each season. I currently use one word as a guidepost that allows the other right words to find me. I collect them over the year and reflect at the end. When I started doing the one perfect word for the year in 2009 I had no idea it was being practiced already. I thought I was an original. Interesting my word in 2016 was trust. When things started happening in my life that began to test that trust word I had to slip back in an old word from 2009, HOPE. I do like your idea of different words for the season. My word this year is contentment and the more I study contentment I have come to realize it covers a broad spectrum of perfect words. Choosing a word for each season may be a way to branch out through contentment. New to your site and enjoying your posts. I am currently try to get back in to scrapbooking. I have not scrapbooked my words. That sounds intetesting.